2xAir Fuel Ratio Oxygen O2 Sensor 1,2 Front + Rear For 05-06 Acura RSX 2.0L M.T. 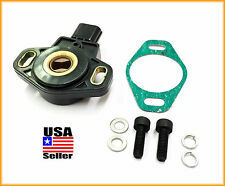 It can be very costly to replace the throttle position sensor through the dealer since this is only sold an any entire throttle body assembly with the sensor through the dealer. Common problems caused by a faulty throttle position sensor is erratic idle, engine bucking, hesitation, misfire, poor gas mileage, stumbling etc. 2002 & 2003 ACURA RSX 2.0L L4 Front Automatic Transmission K20A3. 2004 Acura RSX 2.0L L4 Front Automatic Transmission K20A3. Part Number 234-9006. wire length. Location: Front. Suitable for: 2005-2006 Acura RSX L4-2.0L Auto Trans. 1 Fit Auto Trans 2006 Acura RSX Base Coupe 2-Door / 2.0L 1998CC 122Cu. l4 GAS DOHC Naturally Aspirated. 2 Fit Auto Trans 2005 Acura RSX Base Coupe 2-Door / 2.0L 1998CC 122Cu. ACURA RSX (2002 to 2004) 2.0LL4 Front Manuel Transmission K20A3. HONDA CIVIC SI (2002 to 2005) 2.0LL4 Front K20A3. Part Number 234-9004. Application for Part number 234-9004. OE Connector -- At catalyst inlet. Each of Denso's Oxygen Sensor is constructed from the highest quality materials available. Manufactured to the OE standards and subjected to rigorous safety and performance tests. Condition : New. Therefore all implied warranties that may apply to your part are limited to the duration of this written warranty. Up for sale is a used Acura RSX Type S sensor. This part was removed off a 2003 Acura RSX Type S Manual Transmission with 175,401 miles. Laser-etched Skunk2 logo. CNC machined T6061 billet aluminum. Hard anodized finish. 2005 Acura RSX Type-S 2.0L 4 Cyl K20Z1 FI Naturally Aspirated GAS. 2005 Acura RSX Base 2.0L 4 Cyl K20A3 FI Naturally Aspirated GAS Manual. 2006 Acura RSX Type-S 2.0L 4 Cyl K20Z1 FI Naturally Aspirated GAS. 2005 Acura RSX 2.0L 4 Cyl Automatic. 2006 Acura RSX 2.0L 4 Cyl Automatic. Notes: OE Style -- DENSO is the O.E. Manufacturer / Air Fuel Ratio Sensor. Sensor Type: Heated. Ensure Proper FitTo confirm that this part fits your vehicle, enter your vehicle's Year, Make, Model, Trim and Engine in the Compatibility Table. ACURA RSX (2002 - 2004). Oxygen Sensor. Manufactured to detect the amount of exhaust gas air fuel ratio. 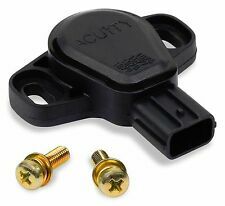 sensor with improved engine performance and greater fuel efficiency. Prevents premature sensor failure. 2002 2003 2004 Acura RSX 2.0L. Fuel Injectors & Fuel System. Fuel Pump & Fuel Sending Units. Air Filters & Air Intakes. Air Conditioning & Heating. Vehicle fittings are provided by product manufacturers and therefore may not be exact. Laser-etched Skunk2 logo. CNC machined T6061 billet aluminum. THIS IS A NEW PREMIUM NGK / NTK OXYGEN SENSOR # 24666. 2002 2003 2004 Acura RSX 2.0L. Heat & Air Conditioning Parts. Air Filters & Intake Manifolds. We will do the best to service you. Modifying an item in any way will void the warranty. Driveshafts & Parts. Notes: Oxygen Sensor -- Wrench Size: 7/8 in; Delphi is an OEM supplier. 2005 Acura RSX Type-S K20Z1. 2005 Acura RSX Base K20A3. 2006 Acura RSX Type-S K20Z1. 2006 Acura RSX Base K20A3. Ensure Proper FitTo confirm that this part fits your vehicle, enter your vehicle's Year, Make, Model, Trim and Engine in the Compatibility Table. 2005 Acura RSX Automatic. 2006 Acura RSX Automatic. Notes: Air Fuel Ratio Sensor. At catalyst inlet. Notes: OE Connector. Ensure Proper FitTo confirm that this part fits your vehicle, enter your vehicle's Year, Make, Model, Trim and Engine in the Compatibility Table. Acura RSX 6MT RSX-S 2005, 2006. MIDDLE O2 SENSOR. There are generally multiple oxygen sensors on a vehicle! Fits type-S ONLY! 2005 Acura RSX K20Z1. 2005 Acura RSX K20A3 Manual. 2006 Acura RSX K20Z1. 2006 Acura RSX K20A3 Manual. Notes: Air Fuel Ratio Sensor. At catalyst inlet. Ensure Proper FitTo confirm that this part fits your vehicle, enter your vehicle's Year, Make, Model, Trim and Engine in the Compatibility Table. 02-04 RSX Type S. Part/Notes: SENSOR, MIDDLE OXYGEN. -Life is life and issues arise; people make mistakes. Trending at $99.49eBay determines this price through a machine learned model of the product's sale prices within the last 90 days. First Time Fit -- At catalyst inlet. 2002 Acura RSX K20A2. 2003 Acura RSX K20A2. 2004 Acura RSX K20A2. 2005 Acura RSX K20Z1. 2006 Acura RSX K20Z1. Ensure Proper FitTo confirm that this part fits your vehicle, enter your vehicle's Year, Make, Model, Trim and Engine in the Compatibility Table. Acura RSX 6MT RSX-S 2005, 2006. MIDDLE OXYGEN SENSOR. 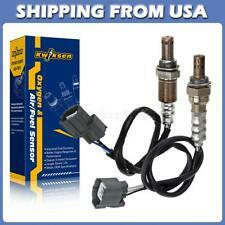 There are generally multiple oxygen sensors on a vehicle! 2002 2003 2004 Acura RSX 2.0L. Air Filters & Intake Manifolds. Item Condition: New. 36531-PND-A01 / 36531PNDA01. 234-9006 / 2349006. Part Number - Warranty does not cover failures due to installation errors, product abuse, modifications, product misuse, accident, collision, or failure of other parts.